As we head into the New Year, it’s a great time to review your website and your online marketing strategy. Take some time to analyze what worked and what didn’t work over the last year, and think about your goals in terms of traffic generation and business growth over the next 12 months. Just as trends in web design change and evolve over time, so do SEO best practices. Google and other search engines are constantly evaluating the factors that indicate a high-quality website for their users. It’s important to keep up with these ranking factors if you want to stay on top of the SERPs. Nobody (apart from maybe Google themselves) has a crystal ball that can say for sure what these ranking factors for 2019 will be. However, we can evaluate the data available for trends and use the official advice published by Google as a guide to how we should be building web sites for search in 2019. While we know that Google uses around 200 ranking signals to determine where it will rank sites, not all of these signals hold equal importance. 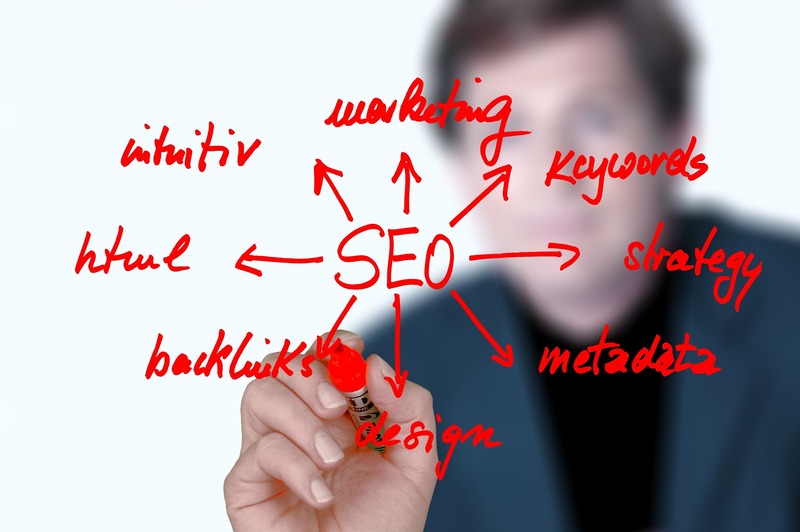 The following are what most SEO experts agree are the most important ranking signals that you should focus on. Paying attention to these factors will also help you create great content and provide a fantastic user experience overall. Google’s use of AI and machine learning in its search algorithm reiterates their commitment to rewarding high quality content. Google has developed an E-A-T framework to assess the expertise, authority, and trustworthiness of websites in order to grade them by usefulness and quality. Providing a good user experience is paramount to organic search rankings. Focus on mobile devices over desktop if you want to keep your visitors, and by extension Google, happy. Good backlinks were, and continue to be central to Google’s ranking algorithm. Google has previously confirmed that its “RankBrain” AI-powered algorithm is one of the most important factors that goes into deciding where a particular web page ends up in the search results. RankBrain analyzes user activity with search listings in an attempt to quantify their relevance and quality. For example, if a user clicks on a page that provides useful information and they stay on it for several minutes reading, this is likely to result in a higher ranking than a thin page that’s not useful or appealing to read and that has a high bounce rate. Keywords are still important – you need to make sure you’re including relevant keywords in your content to have a hope of appearing in the top results for a search for that particular keyword. However, Google’s algorithms are now a lot more sophisticated at judging when content covers a topic comprehensively, rather than just stuffing in a few keywords. Rather than creating keyword-focused “SEO content”, your focus should be on creating the highest quality in-depth content that answers your users’ needs. While Google’s algorithms are continuously becoming more accurate and sophisticated, they are not the only way that Google ranks web pages. Google also employs human agents to assess the quality of SERPS and the pages that make up the first page of results for various searches. It publishes guidelines for these search raters to follow when rating the quality and relevance of these pages. These guidelines confirm that expertise, authority, and trustworthiness, or “EAT” are an important factor in ranking pages, specifically those that fall under the “your money or your life” category (generally sites that offer health or legal advice or process financial transactions). For this reason, it’s important to demonstrate your authority in your niche to Google and to your audience. This may be something you can do right away by publishing author bios with relevant qualifications or experience, or it may be something you build up over time by publishing excellent content and earning a reputation as being an authoritative source. Publishing great quality content won’t do anything for you if your site is impossible for users and Google site crawlers to navigate. For this reason, you need to make sure that your site is built around a clear hierarchal structure and that you focus on the user experience. A good user experience means that searchers are likely to stick around to explore your site for longer. This is a positive signal for Google that your site is helpful and should be rewarded with a high ranking. You can ensure an SEO-friendly site structure by going back to basics: keep your URLs short and make sure they include your keywords, implement intuitive and simple navigation, eliminate duplicate content pages on your site, and generate a site map. Google has now implemented a “mobile first” index, meaning that the mobile version of many sites is considered to be more important and useful than the desktop version. This shift has been coming for a while as over half of all searches now come from mobile devices. It makes sense for Google to list results that are easy to read and use on mobile. In 2019 there is no excuse not to have a mobile-friendly site. Responsive design is still the gold-standard solution. You can also run your site through the mobile usability report on Google Search Console to see what you can do to improve. Today’s web users are impatient. They want information and they want it right now. This is especially true of mobile users and voice searchers, groups that are continuing to grow as a proportion of web searchers overall. For this reason, it’s vital that you optimize your site to be as fast as possible. Shaving even a few microseconds off your site load time could make a significant difference to your ranking, particularly if it means that your site now loads faster than your competitors’. If you’re planning a site refresh for 2019, make sure speed is near the top of your list of priorities when it comes to development. Otherwise, there are many other things you can do to speed up your existing site including compressing images and using a CDN. You can see how fast your pages are currently loading by using the Google PageSpeed Insightstool. This tool also offers tips on what you can do to speed things up. While quality content is without a doubt the most important factor when it comes to pleasing both search engines and your users, links are still important too. In fact, along with content and RankBrain, Google confirms that links are one of the top three ranking factors. Links help Google to assess your authority and they also help other web users to find your content. Alongside creating high-quality content, you also need to have a well-thought-out link building strategy in place. Quality is still the focus over quantity. While it is true that the more links you have, the better, your focus should be on building links from high quality sites rather than acquiring many lower quality links. If you’ve not yet made the move from http to https, now is definitely the time to do so. Your domain security links in with your trustworthiness – Google doesn’t want to send its users to a site that may not protect their data or be otherwise harmful. Having an SSL certificate is, of course, essential for e-commerce sites, but it’s now no longer an optional extra for more general sites that collect any kind of user data. At least those that want to rank. We’ve already mentioned RankBrain and how it uses time spent on page as a measure of its relevance and quality to each searcher. RankBrain also looks at another factor – clickthrough rate. Clickthrough rate measures the number of searchers that click through to your site after seeing the results of their search. This factor has nothing to do with the quality of your site as they haven’t even seen it yet. But it is dependent on how relevant your content is to their search and how enticing your link is. How do you make your search engine listings more enticing? Make sure to write a descriptive meta title and description. Both should include keywords and make the user want to click through to your site. Local SEO has grown in importance over the last few years. As mobile searchers continue to dominate, any business that has a physical presence must focus on their local SEO for improved SEO on a national and global level. A successful SEO strategy has many facets but one of the most important and simplest is ensuring that your Google My Business listing is set up and optimized, and that your business information is listed correctly in relevant local directories. Google uses this information to decide which businesses will appear in the “3 pack” – the three local businesses that appear as a featured result at the top of a local search. Business directories will also send more traffic to your site and boost your number of incoming links. Over 10% of all search results now show a featured snippet in the listings, demonstrating that Google is using this information to give a better experience to searchers. This comes with the trend of more searchers using mobile devices and wanting quicker answers to their questions. Web pages that have featured snippets offer the information searchers are looking for without even having to click through from the search engine result pages. SEO for featured snippets and other on-SERP features will continue to grow in importance in 2019 and beyond as the way that users search and interact with search results changes. Thanks, James! Glad you found it helpful!